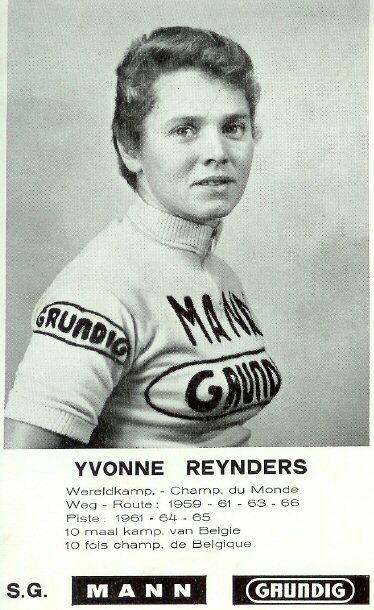 Yvonne Reynders. - Bicivilizados. Ciclismo urbano. Alegría entre tus piernas. Home / bike culture / Yvonne Reynders. 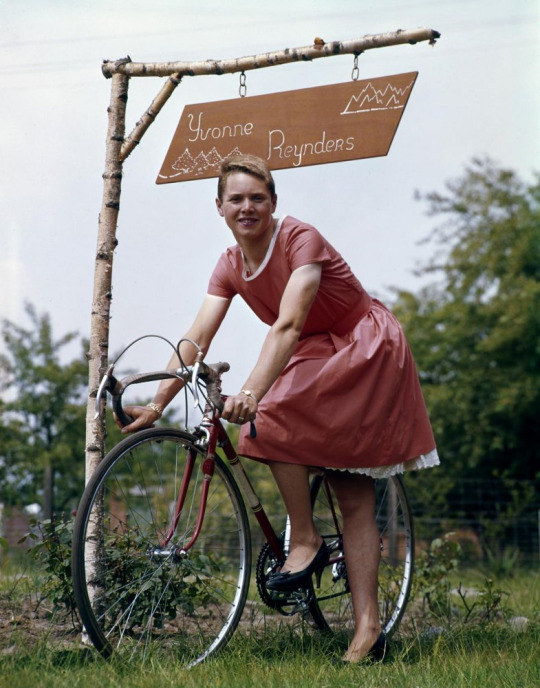 Yvonne Reynders, born in Schaarbeek, Brussels on this day in 1937, won a total of three Track World Championships (Pursuit 1961, 1964, 1965), four World Road Championships (1959, 1963, 1965, 1966), three National Track Championships and seventeen criteriums as well as taking numerous silver and bronze medals during her career. 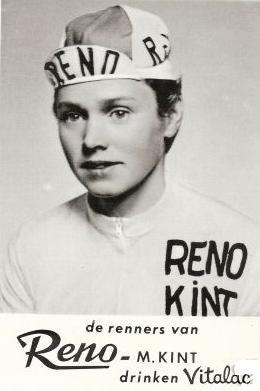 She is frequently listed as the second most successful female cyclist of the 1960s after Beryl Burton.